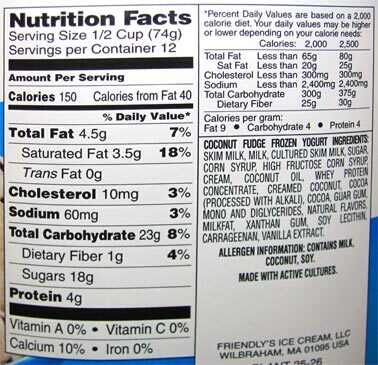 [By Nick, New for early 2015] With companies like Turkey Hill discontinuing flavors from their "healthier" lines, I was surprised when I saw Friendly's was coming out with a handful of new light and frozen yogurt flavors. With Dubba finding all of the new products first, I need to take what I can get it seems this year. So I jumped on this carton when I saw it at my local Shop Rite. I know you're going to say "Nick, you hate coconut products 90% of the time." 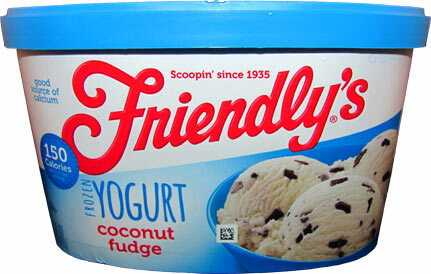 That is true but I do like Friendly's normal coconut ice cream and use it for sundaes on occasion. I really didn't feel like this could be all that different from that ice cream besides the whole being lighter and having added chocolate. Adding chocolate makes everything better, right? And it looks like the chocolate is in decent amounts here. 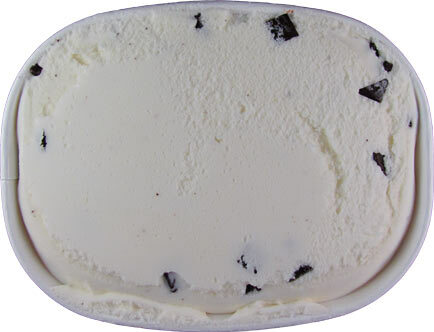 If it wasn't for the coconut smell, it would look like a normal chocolate chip flavor to me. The smell isn't a bad thing either. It's not artificial and more mellow than most coconut bases. The taste reflects the smell and is almost identical to the normal coconut version. It's natural and sweet like coconut products should be. No sun tan lotion or any of that gross stuff going on. The texture really isn't all that different either from the normal. According to the nutritional info, it appears denser (heavier) than the normal version but I'm going to attribute that to the added chocolate. The chocolate chips are standard in terms of quality. They remind me more of a dark chocolate fudge which would fit with the name perfectly. 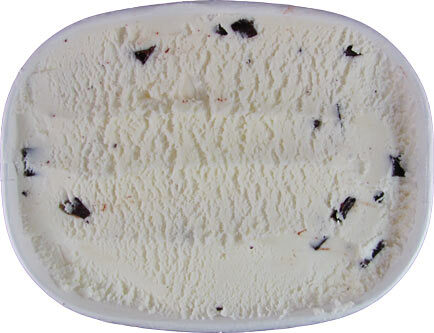 With the combination of flavors, it almost tastes like a mounds bar. Oh I almost forgot to mention the best part, there's no shredded coconut involved to completely disgust me! Sure, it's not the most exciting new flavor but not one that will disappoint you either. If you're looking for a coconut fix, go for it. I can see this being used in my sundaes as well as the normal base in the future. I'm proud of you Nick for not only trying a coconut flavor but recommending it! I'm not a coconut fan either but admire how you kept an open mind. Anon, than you very much aha. I have liked other coconut products before so it's growing on me more and more. That and I'm a sucker for anything new.